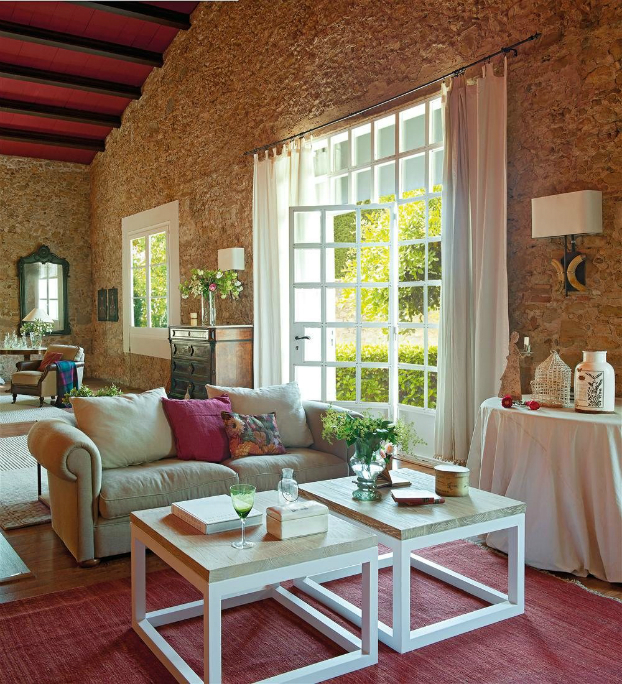 Here is a classic farmhouse situated among olive groves and vineyards. 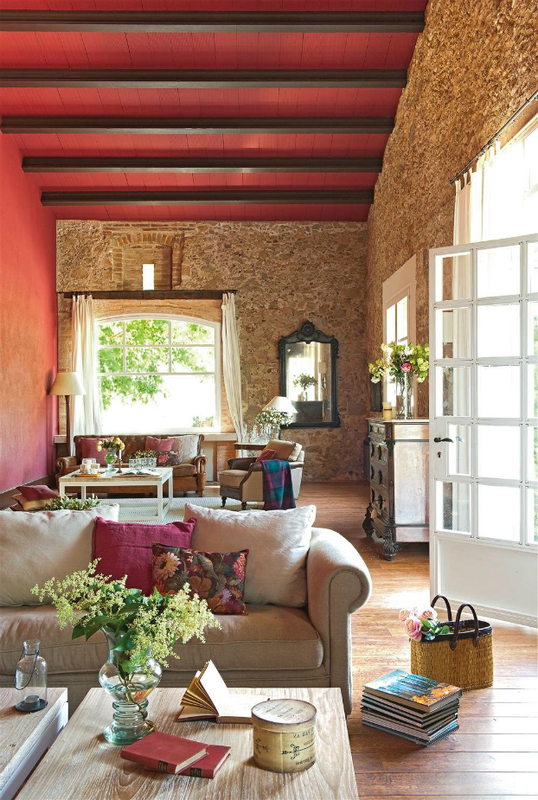 The charming interior, which was created by the interior designer, Marta Esteve, is a perfect blend of ancient and modern architecture. As you step out of the garden, you will have a unique and impressive view of Mount Montserrat. The origins of this ancient complex dates back to the 1300s and a large part of the original stone structure has been preserved, even after the creative renovation by Marta Esteve. 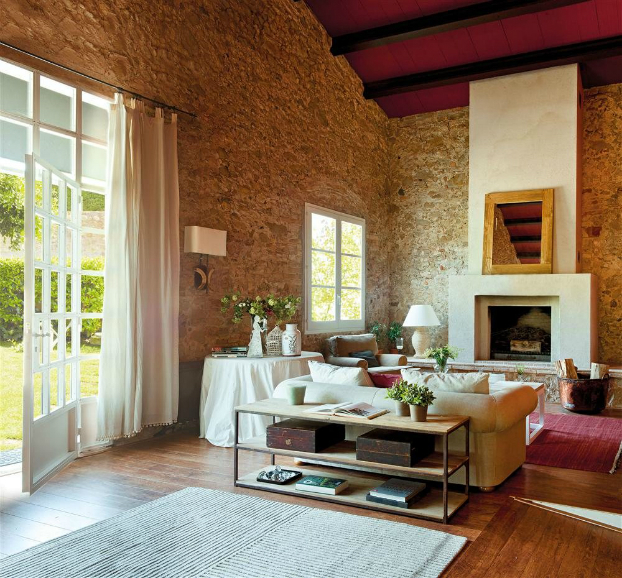 Marta Esteve’s intention was to preserve the old structure with its strong stone walls and the lumber beams still showing the original patina. The renovation opened the inner space and made it a beautiful loft, doubling the height and giving access to the attractive garden. This perfect blend of traditional and contemporary building designs makes this home outstanding and charming. The entire building has a bright and vibrant appearance because light coming in from the windows fills the entire house. The trees in the yard provide shade, keep the home cool and provide a place for outdoor meals during summer. The theme of Marta’s design was “to preserve and respect the original structure”. So getting all the new renovations to fit was quite challenging. For instance, the kitchen that now integrates seamlessly with the vaulted open space was the initial entrance. 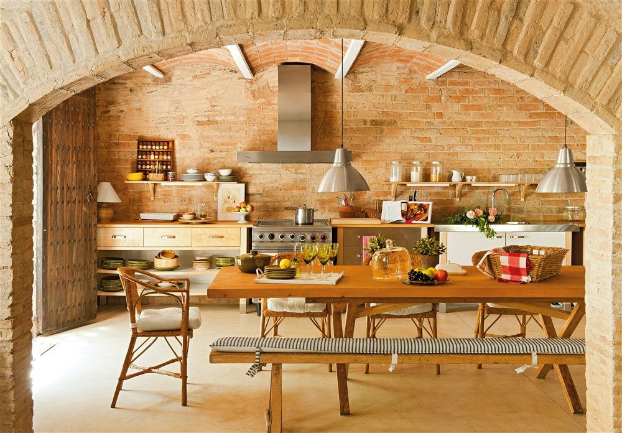 The brick walls were repositioned to blend with contemporary wooden furniture so that the new kitchen area can be used for wine tasting and gourmet meals. The natural textures and colored stones beautify the entrance of the house. The rooms which are located on the upper floor are re-designed as suites with their en-suite bathrooms. A cozy and romantic atmosphere is naturally achieved using cotton fabrics with floral designs as well as heirloom furniture items obtained from an antique auction. Marta says that an exciting aspect of Mas Joliu is that this house can be seen easily from almost everywhere. 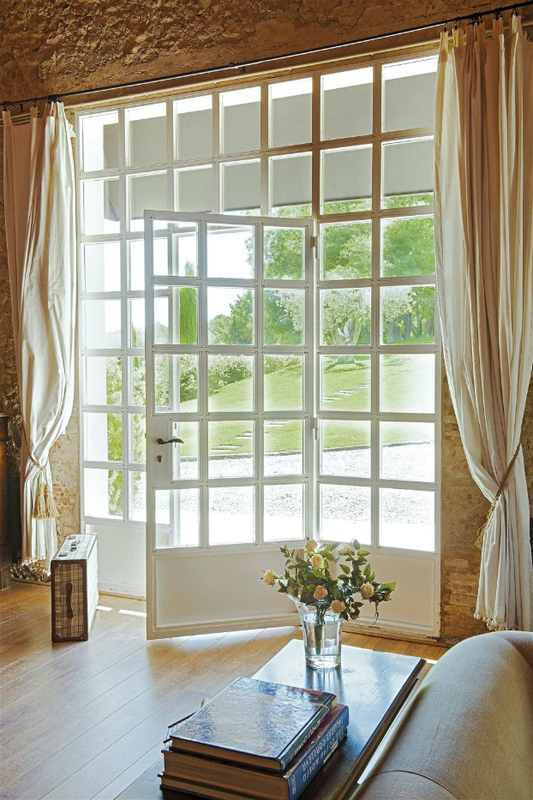 The windows also allow you to have a glimpse of the surrounding vines and olives. What do you feel about this unique blend of traditional and contemporary interior design? Please kindly reveal your thoughts and ideas in your comments. Thanks. Okay, so I don’t normally email bloggers but I really, really would like to pay you a compliment. Your site is fabulous. I have not subscribed to a new blog in at least three years. Yours knocked my socks off. I am currently searching for a Parisian apartment and your post on the historic Parisian apartment with contemporary art was extremely inspirational. You have a fabulous eye and great taste. Thank you for that.